The second most important primary in Ohio today, Tuesday 15th March, 2016 is the race to replace former Speaker John A. Boehner. Fifteen — yes, 15 — Republicans are on the ballot to succeed Mr. Boehner, who left Congress in October under pressure from conservatives who had bedeviled him since he became speaker in 2011. The winner of Tuesday’s Republican primary will almost certainly become a new member of Congress after the June 7 special general election: Mr. Boehner’s southwest Ohio district is the very definition of rock-ribbed Republican. The new lawmaker will have to run again in November. Despite the crowded field, some third-party political organizations have weighed in to try to pick Mr. Boehner’s successor. The conservative Club for Growth is backing the businessman Warren Davidson and is heralding him as a potential new member of the hard-right Freedom Caucus. For his part, Mr. Boehner has stayed out of the contest, not making any endorsement or weighing in on who should replace him. 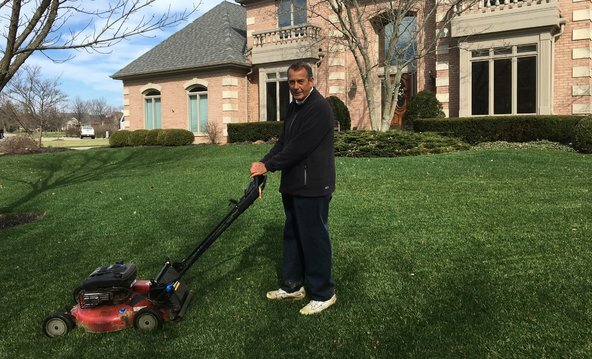 He seems to be adjusting comfortably to life after Congress as Twitter last week showed him both buying his first post-Congress new car (a white 2016 Chevrolet Tahoe) and mowing his extremely well-maintained lawn. Follow us on TWEET.NG on who replace Mr. Boehner.